The April 16th massacre is obviously a large part of Virginia Tech’s history, and it is understandable why the national media identifies Tech by that event. But as a Hokie, I know that the massacre is not that all Virginia Tech should be known for. I go to a school where a shooting occurred. There have been other terrible incidents that have occurred at Tech since then, including an email threat sent out yesterday claiming an individual would “kill as many people as I can until the police arrive.” VT police sent out an email saying they were aware of the situation and conducting an investigation, but rumors were spreading wildly that buildings were on lockdown and President Sands had been escorted off campus by police officers. I spent at least 30 minutes on the phone with my brother who also goes to Tech, and various friends, trying to decide if I should go to my class yesterday. My brother (who never scares easily) told me not to step foot on campus. That scared me more than anything, especially because he usually brushes off things like this. I sat in my car in the parking lot outside the building my class was in for 15 minutes before I finally decided not to live in fear and go to class. I figured if something was really going on, the university would notify everyone and shut down campus. Virginia Tech is so much more than the location of one of the worst mass shootings in the history of the United States. We are a community of people who truly care about each other, regardless of if we know each other’s names or just pass by each other on the Drillfield every once and a while. We are the #18 Best Overall College, #2 Best College You Can Actually Get Into and the #9 Best Public College according to Money Magazine in 2016. We offer incredible programs, and a little under 100 different majors. Our sports programs have only been getting better, and Tech has hundreds of campus organizations to get involved in. 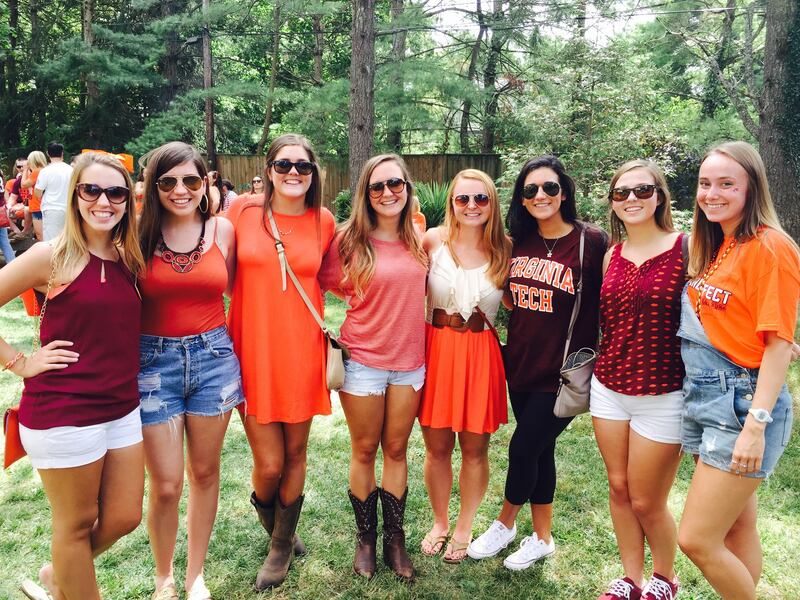 We are a community that helps not only Hokies, but also anyone who needs it. Our school motto, Ut Prosim, or “That I May Serve” is lived out through Hokies not only on campus but also throughout Hokie Nation.